Patternmaker and sewing expert Elizabeth Haywood offers you a comprehensive sewing reference like no other. Are you comfortable with a sewing machine? Moved beyond the sewing basics? Here's the book you'll refer to again and again for reliable, practical, easy-to-follow advice. Develop your sewing skills, master new techniques and discover the answer to your sewing questions. 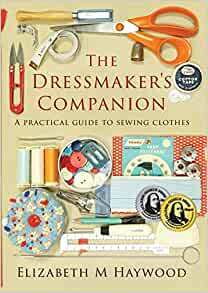 With over 3,000 detailed illustrations, step-by-step instructions, clever ideas, troubleshooting and fitting advice all arranged in 41 chapters, The Dressmaker's Companion will enable you to sew with confidence.